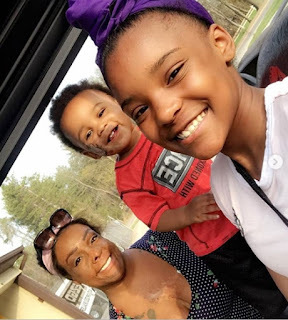 Adorable Photos Of A Burn Survivor And Her Two Kids Melt Hearts On Social Media (Photos) - NAIRAFAME | Best Entertainment Platform. 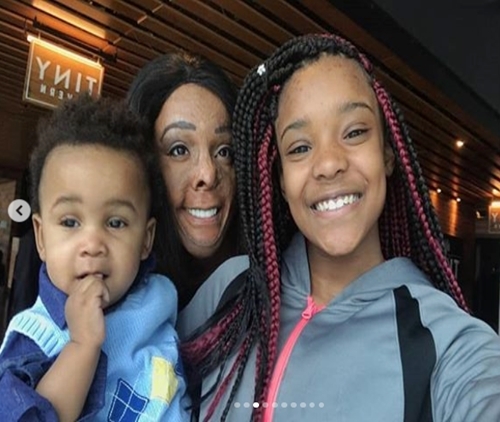 A woman has been described as a strong woman as she continues to leave many people in awe with her determination to live and enjoy life to the fullest despite her scars. An American lady identified as Mimi Stevenson on Instagram @schamica211, who is a burn survivor, has melted hearts on social media after photos of her beautiful family emerged online. 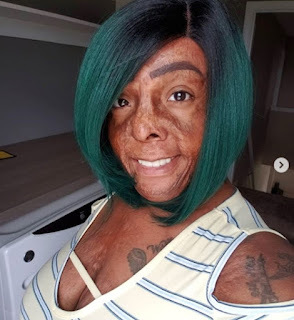 The 34-year-old Mimi who survived a horrible fire incident at the tender age of two, revealed that she has learned to wear her scars proudly despite negative comments. Mimi who disclosed that she lost her her brother in the blaze which left with scars after her family’s boiler exploded, has grown into a powerful woman, wife and a mother to two adorable children; a boy and a girl. 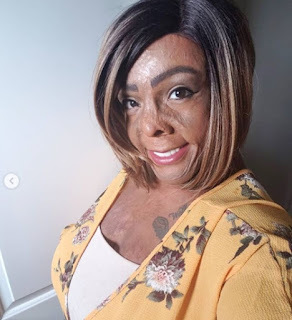 While some people find it hard to carry on after such a traumatic experience, she grew up embracing her scars and it seemed to work in her favour. She not only found love but started a family as well. While going through her Instagram page, it is easy to deduce that she is all about enjoying her life and does not tolerate any negativity, judging from her bio on the picture sharing app.